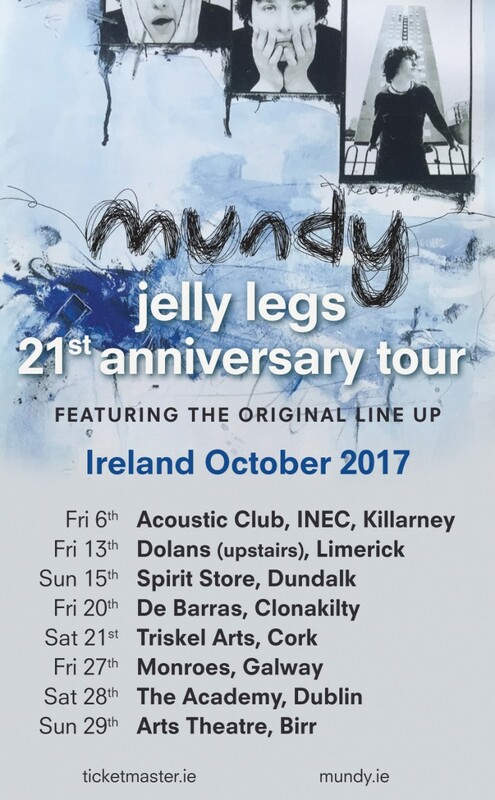 Mundy Jelly Legs 21st Anniversary tour announced. Featuring Steo Farrrell,Shane Fitzsimmons and Cion O’Callaghan who were in the original band line up. www.ticketmaster.ie for tickets or appropriate venue ticket sites.